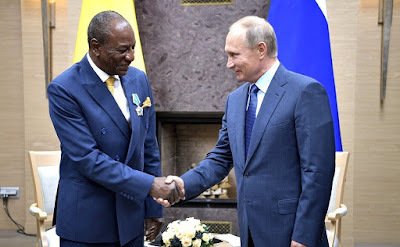 Vladimir Putin had talks with President of the Republic of Guinea and Chairperson of the African Union Alpha Conde. 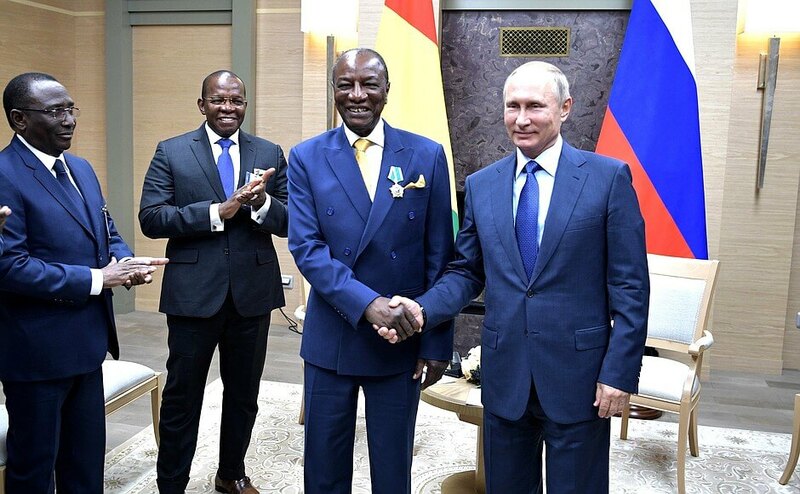 Vladimir Putin with President of Guinea Alpha Conde. 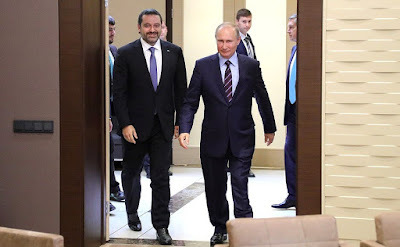 Talks in Moscow. 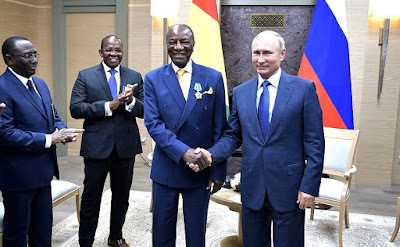 During the meeting, Vladimir Putin awarded President of Guinea Alpha Conde a state decoration of the Russian Federation, the Order of Friendship, for his significant personal contribution to the development of the Russia-Guinea relations. Talks between Russia and Guinea in Moscow. 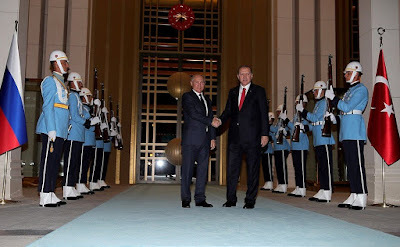 Following the talks, the two presidents attended the signing of cooperation documents. Those included an inter-governmental agreement on cooperation in healthcare, medical training and science; several inter-agency documents on cooperation in epidemiology and prevention of infectious diseases in the Republic of Guinea, cooperation in action against drug trafficking, psychotropic substances and their precursors, cooperation in higher education, science, research and development, and innovation. 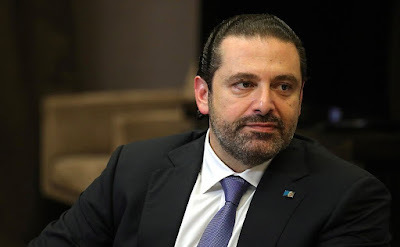 Additionally, memorandums of understanding on cooperation in agriculture were signed concerning the agreements on the extension of the Dian-Dian concession agreement of July 21, 2001 and the agreement on recovery, expansion and development of Kindia bauxite fields of November 3, 2000. The presidents of Russia and Guinea made statements for the press. Beginning of talks with President of the Republic of Guinea Alpha Conde. We have met recently at an international event in China. Last year, you attended the St Petersburg International Economic Forum. 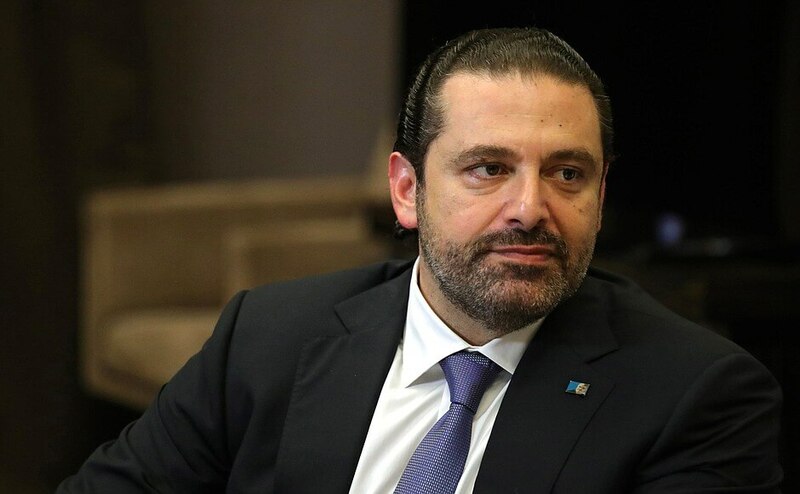 It is gratifying that we have come a long way in the 60 years since the establishment of diplomatic relations between our countries, which we will mark in October of next year. Our trade is modest so far, but it is growing and has doubled recently. 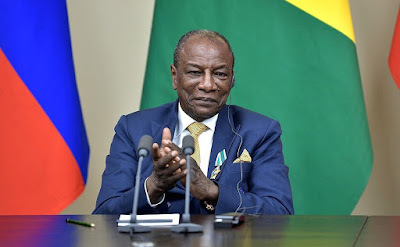 Russian investors are interested in the Guinean economy. One of them, Rusal, has invested over $300 million in Guinea. Mr. President, we are pleased to welcome you as President of Guinea and also as Chairperson of the African Union. 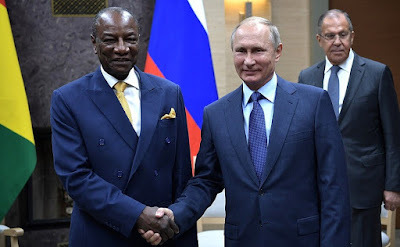 Vladimir Putin held a meeting with President of the Republic of Guinea and Chairperson of the African Union Alpha Conde in Moscow. It is a great pleasure for me to visit Russia again. 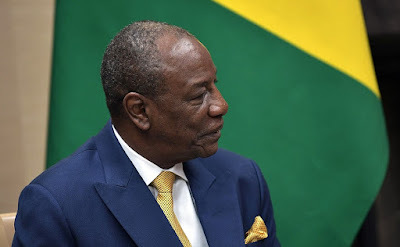 President of the Republic of Guinea and Chairperson of the African Union Alpha Conde. 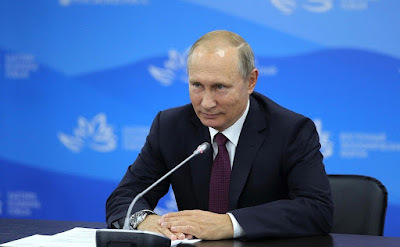 I would like to take this opportunity to thank you, Mr. Putin, for the assistance provided in the fight against the Ebola pandemic. The Russian Federation was one of the first countries to get involved in the relief efforts during the crisis. 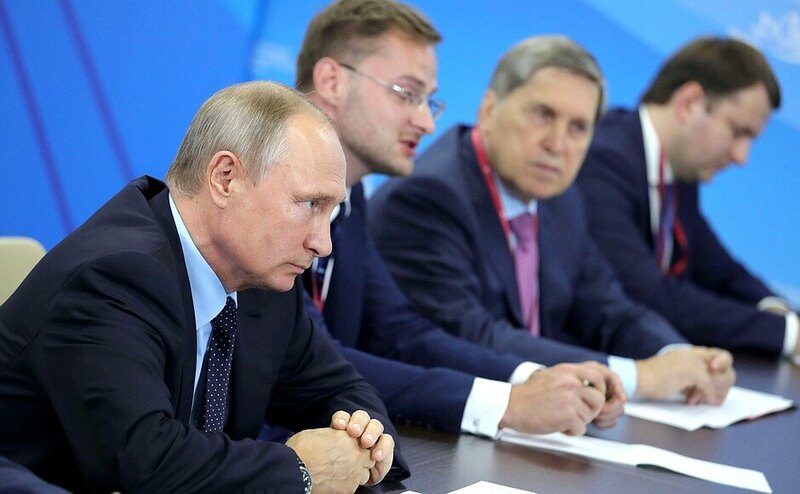 Russia also opened a crisis center to conduct research into treatment of the Ebola fever in our country. 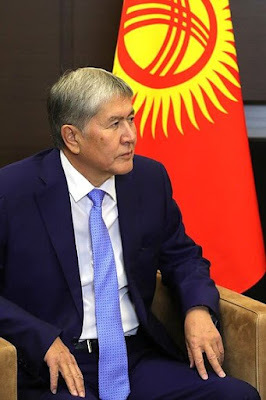 In order to expand our bilateral cooperation, we opened a joint research center for Kindia mineral deposits and I hope that the center's opportunities will only grow in the future. I hope that our collaboration in healthcare will also expand. We rely on your assistance, as before, in developing and using the vaccine, and in training medical professionals in the use of these preparations in practice. 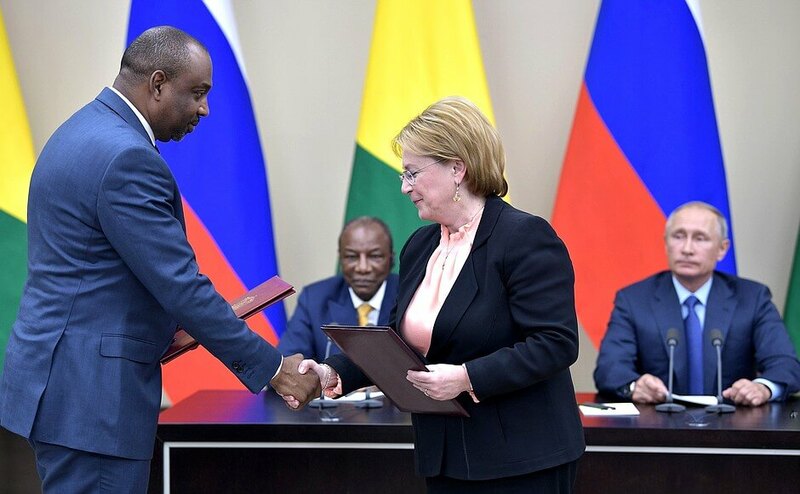 Ceremony of signing Russia-Guinea cooperation documents. 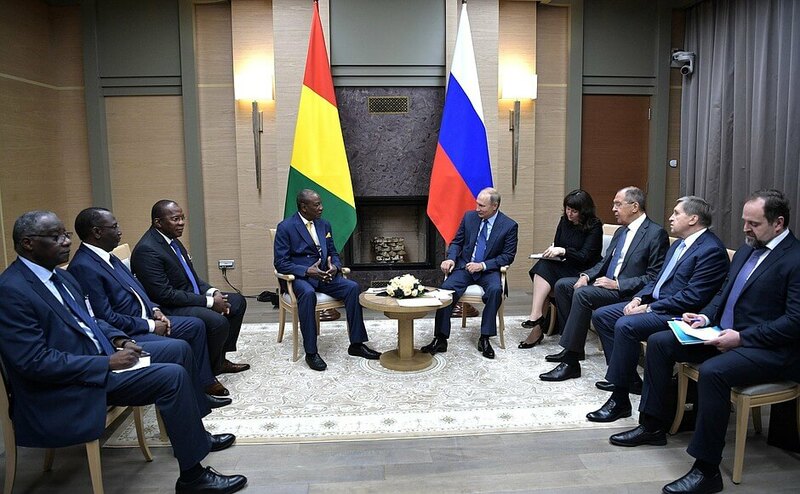 As we noted during our meeting in St. Petersburg, many Russian businesses are genuinely interested in investing in the Guinean economy. I truly count on your support in both retaining the companies already operating in our market and bringing more investors to our territory. Since gaining independence from the French Republic, we have been tirelessly building up our tourist potential and believe that the opportunities are not yet exhausted. Our cooperation is expanding in a wide range of areas. This includes construction of plants and various infrastructure projects. I hope that we will be seeing additional opportunities in the future. 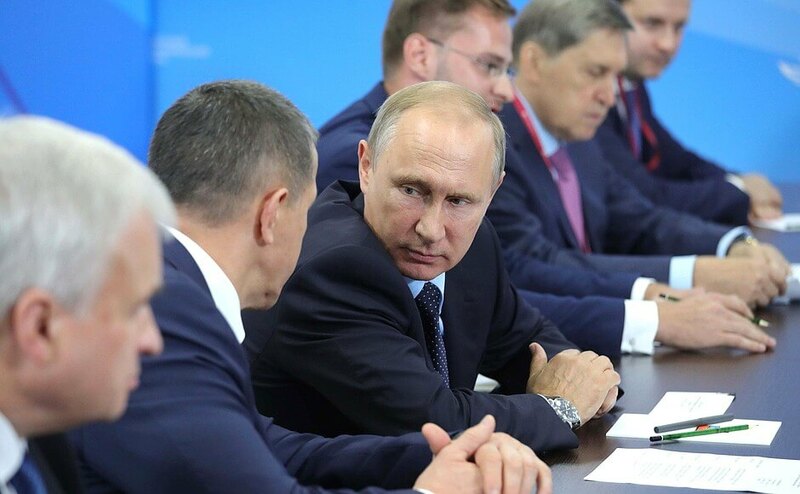 As you rightly noted, Mr. Putin, we have yet much to achieve in our economic collaboration. 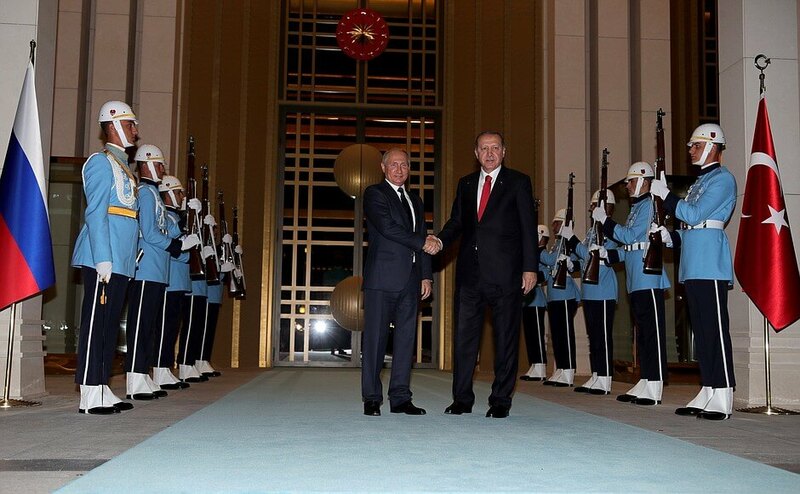 I hope we will enter a new level and build up our cooperation to reach the heights available to us. Therefore, I suggest that we assign our partnership the status of strategic. President of the Republic of Guinea Alpha Conde during the ceremony of signing Russia-Guinea cooperation documents. Guinea indeed has many assets and a wealth of diverse natural resources that can be explored. The cooperation potential is huge but we need to broaden and develop it. Unfortunately, there are not always sufficient financial means for these purposes. 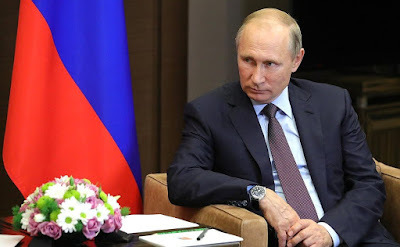 So I hope that within the public-private partnership involving Russian investors, we can overcome this stumbling block and use our potential to the full. We have already approved a development plan and a forward-looking development agenda until 2020. We are discussing opportunities for additional funding with the Paris Club. We hope Russia will participate in the talks of the consultative club on relations with the Paris Club. We also rely on the Russian Federation to participate in various concessions currently being developed in our country. 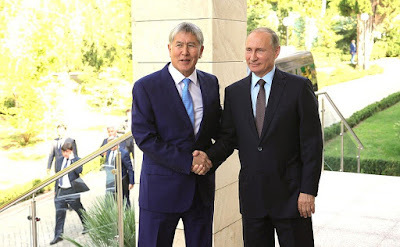 Vladimir Putin met with President of Mongolia Khaltmaagiin Battulga on the sidelines of the Eastern Economic Forum to discuss strengthening bilateral relations and current regional and international issues. 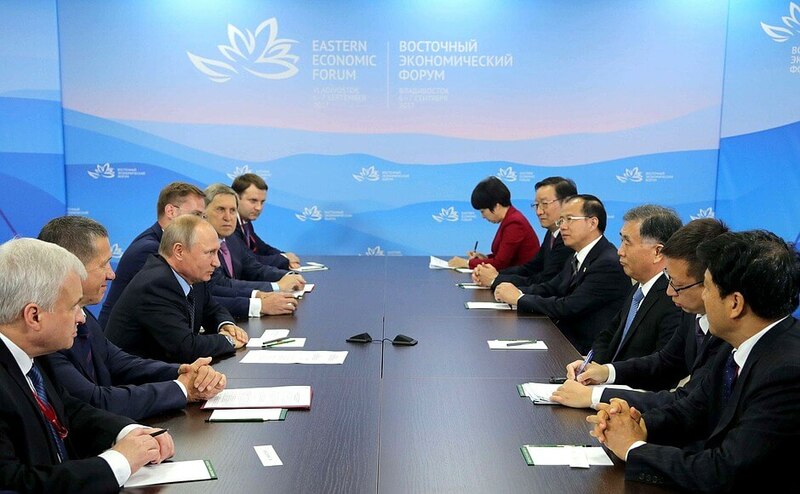 Vladimir Putin met with President of Mongolia Khaltmaagiin Battulga on the sidelines of the Eastern Economic Forum. I am glad that we have met again, this time on the sidelines of the Eastern Economic Forum in the Russian Far East. We met in Budapest a few days ago during the World Judo Championships, a sport both of us love. I am confident that our shared hobby, which plays a major role in our lives, will help us develop a good working and personal relationship. 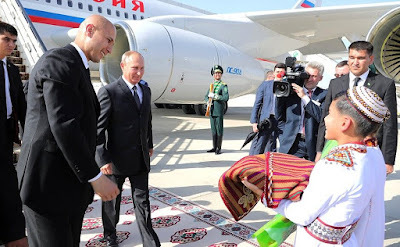 I do not need to tell you about Russian-Mongolian relations and ties. 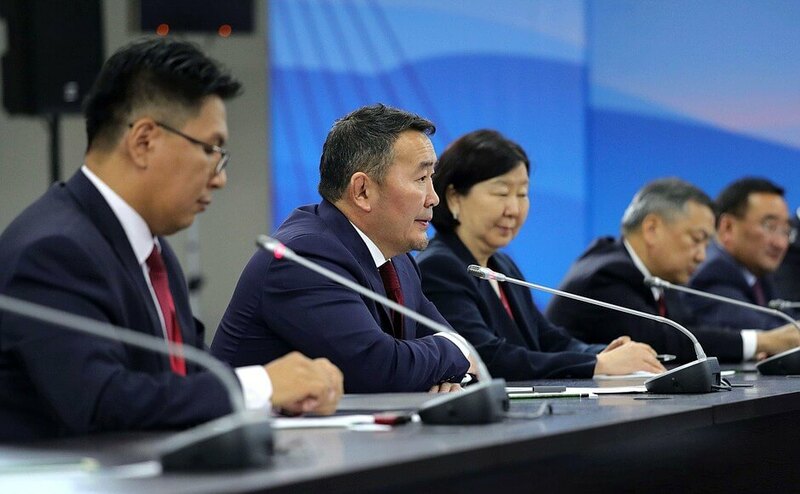 Mongolia is a long-standing partner and friend of Russia. Today we will discuss practical issues, both current and future ones. We know everything about the traditional areas of our cooperation and the large enterprises that were built in the past. But we must also take a long view and look for new opportunities. After a minor decline, our trade has resumed sustainable growth of over 30 percent, more precisely 32 percent. 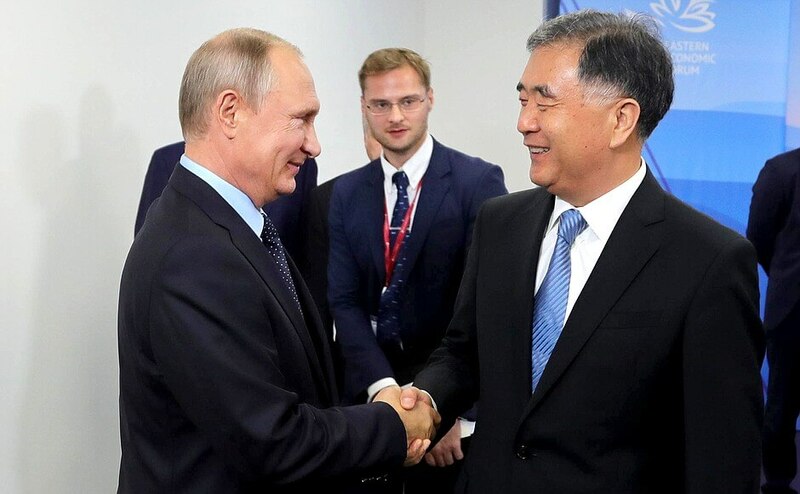 Russia is one of Mongolia’s largest trade and economic partners. 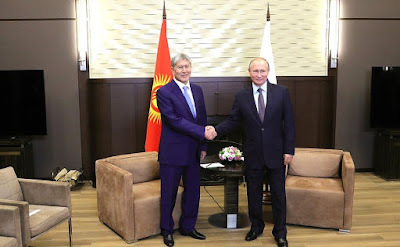 Vladimir Putin at a meeting with President of Mongolia Khaltmaagiin Battulga. 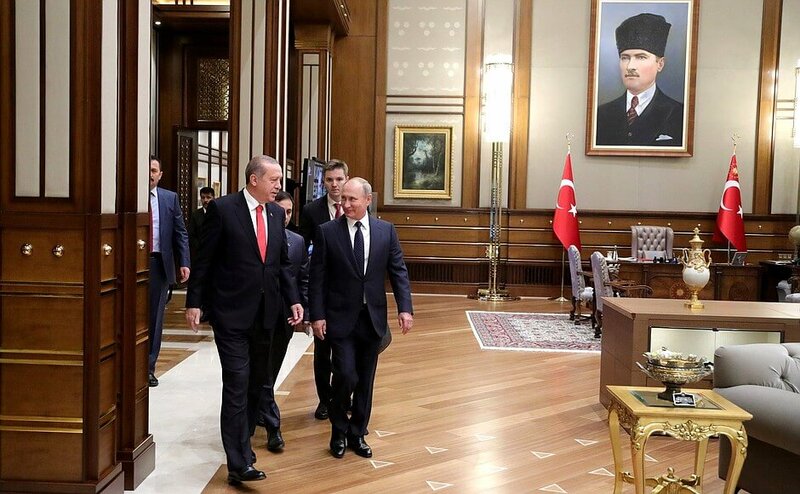 I am glad to have this opportunity to meet with you today, just as we planned, in order to hold detailed discussions of our bilateral relations. 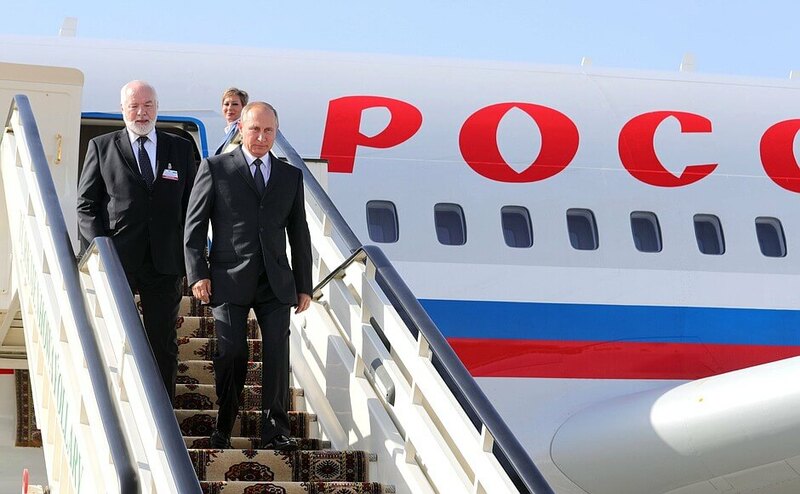 Mr. Putin, I am glad to see you again and to be attending the Eastern Economic Forum. 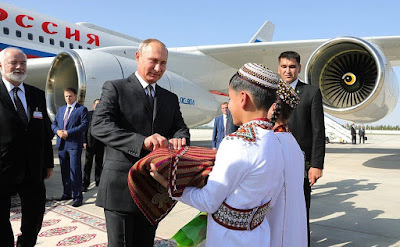 The flight from Mongolia to Vladivostok lasts only 2 hours and 55 minutes. 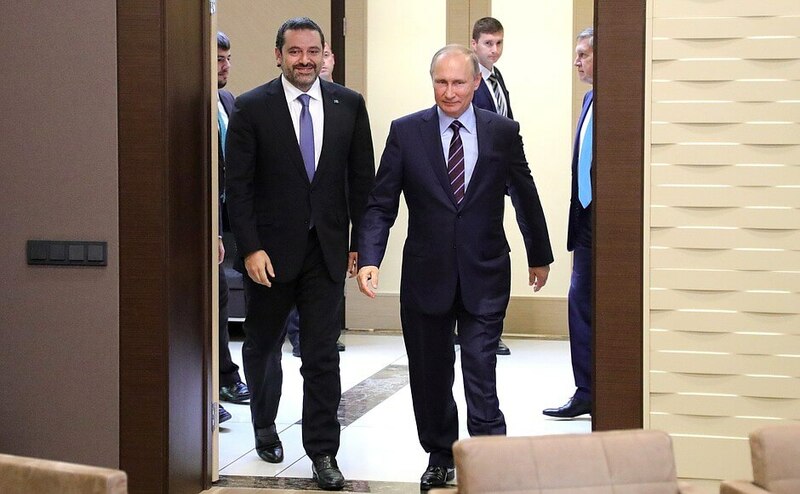 I congratulate you on organizing the Eastern Economic Forum, which is playing a major part in outlining the directions of global economic development. 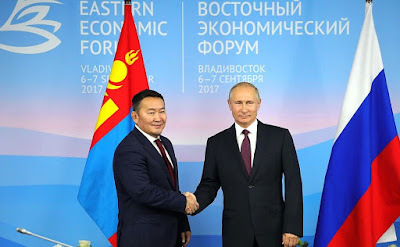 President of Mongolia Khaltmaagiin Battulga in Vladivostok. I consider it my priority to promote the advancement of the Mongolian-Russian relations, including economic cooperation, to a new level. I will continue working to further expand the traditionally friendly and neighborly relations between our countries and to deepen our substantial economic cooperation. 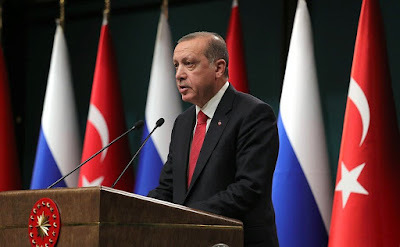 The development of cross-border and regional cooperation is vitally important for increasing our bilateral trade, because border regions account for 70 percent of our trade. But our top priority is to sign a free trade agreement with the Eurasian Economic Union. We are grateful for your support in this matter. Our countries are interested in promoting cooperation in education, culture, literature and tourism. Russia - Mongolia talks in Vladivostok. 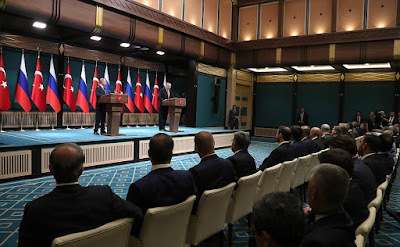 Russian President at the meeting with Khaltmaagiin Battulga in Vladivostok. 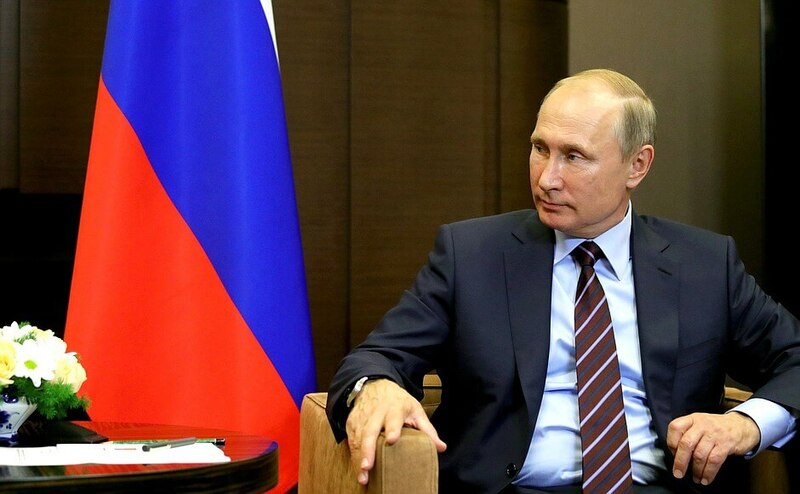 Vladimir Putin had a meeting with Vice Premier of the People’s Republic of China State Council Wang Yang. It gives me great pleasure to welcome you to Vladivostok. You know that I have held extensive talks with the President of China, Comrade Xi Jinping, who is a big friend of Russia. I would like to again congratulate our Chinese friends on the success of this BRICS summit. 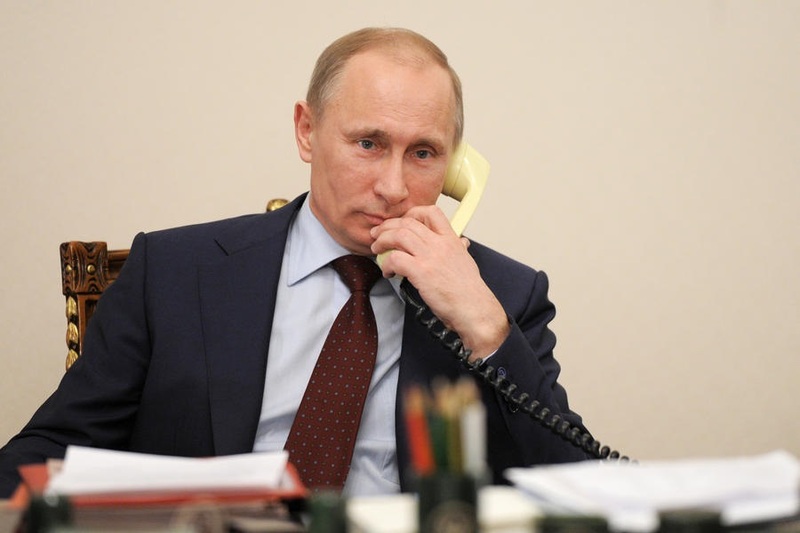 I would like to say that you personally are doing a great deal to promote Russian-Chinese ties. In this context, I will sign an executive order to award you the Order of Friendship. 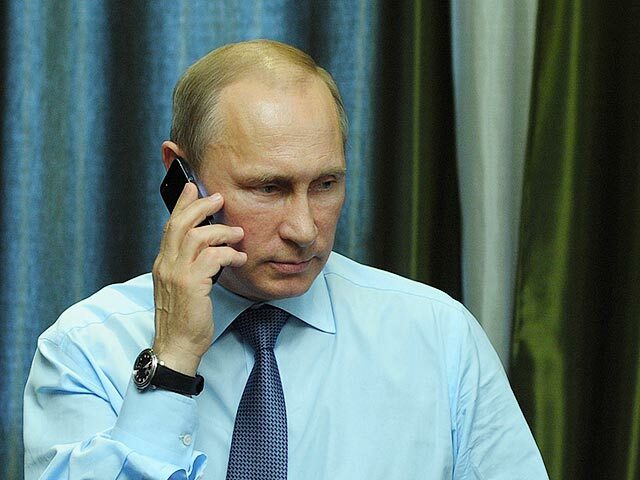 You will receive the order during your meeting with Prime Minister Dmitry Medvedev. I know that you have a packed agenda. You have been to one city today, and tomorrow you will travel to another city, Khabarovsk. 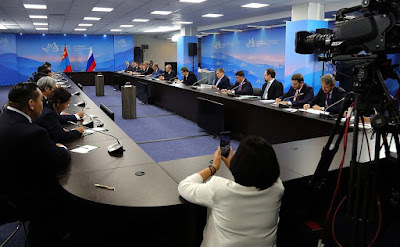 You have come here from a trip to Volgograd, and in Khabarovsk you will chair a meeting of the Intergovernmental Commission on the development of relations between the Russian Far East and Northeast China. I would like to say that nearly 200 Chinese companies were presented at the Eastern Economic Forum last year. Contracts worth nearly 2 trillion rubles, or more precisely 1.9 trillion rubles, were signed then. Total Chinese investments made in the Russian Far East in the past two years exceed $3 billion. This is evidence of our efforts to implement the agreements we reached with the President of China. Meeting with Vice Premier of the Chinese State Council Wang Yang. I am confident that we will be able to do a great deal at this year’s forum as well. We know that many of our Chinese friends, business people, have come to the forum. We hope that the volume of contracts we sign this year will be even larger than last year. Your work has produced a solid practical result. First of all, I would like to thank you for your high opinion of the BRICS summit in Xiamen. I also want to thank you for awarding me the Order of Friendship. It is a great honor for me, and I am ready to make even greater, maximum efforts to promote Chinese-Russian relations. 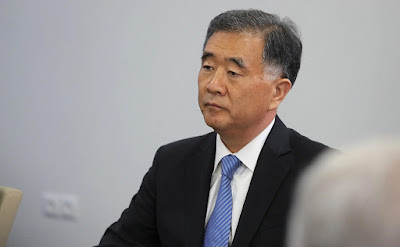 Vice Premier of the Chinese State Council Wang Yang. I also want to say that this is the second time you are receiving the Chinese delegation and me personally in the beautiful city of Vladivostok. 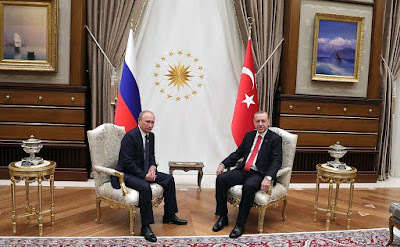 I think that this is not just a protocol issue; it speaks to your great attention, the strengthening of the traditional friendship between our countries, as well as the efforts to intensify bilateral contacts. I remember that you attended the first forum in 2015. We met there. Yes. This is my third visit to Vladivostok. Over the past three years, the implementation of the Far East development strategy has changed Vladivostok. I think that the changes in Vladivostok are a microcosm of all the changes in Russia. 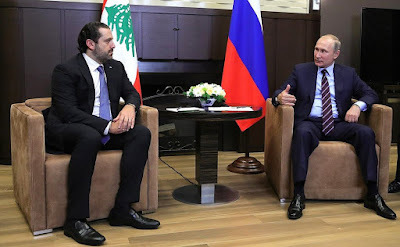 I want to note that in recent years, under your leadership, Russia has dealt with the sluggish growth of the world economy, and, despite the sanctions of the West, has maintained stability and solidarity in society. The Russian economy began to gradually, steadily recover. Key economic indicators improved. As a good neighbor, a reliable partner and a good friend, the Chinese side is sincerely glad for your success. 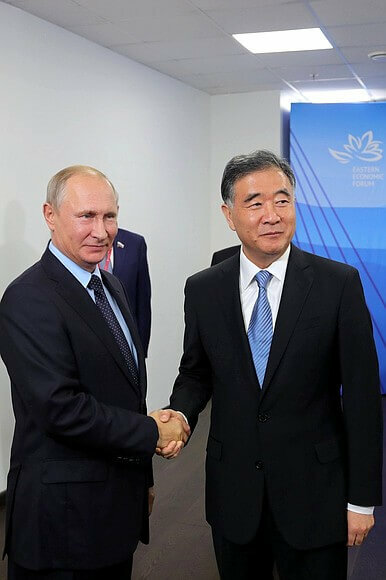 Vice Premier of the Chinese State Council Wang Yang at the meeting with Vladimir Putin. The Ambassador told me that during the BRICS summit, Chinese President Xi Jinping offered a new assessment of bilateral relations. He said that Chinese-Russian relations are not just relations, but comprehensive strategic partnership and cooperation, as well as friendship. For me, too, this is very positive, good news. I think that as your friend, I can resolve other issues for you, leaving more time for you to relax. You know well the program of my stay in Russia. 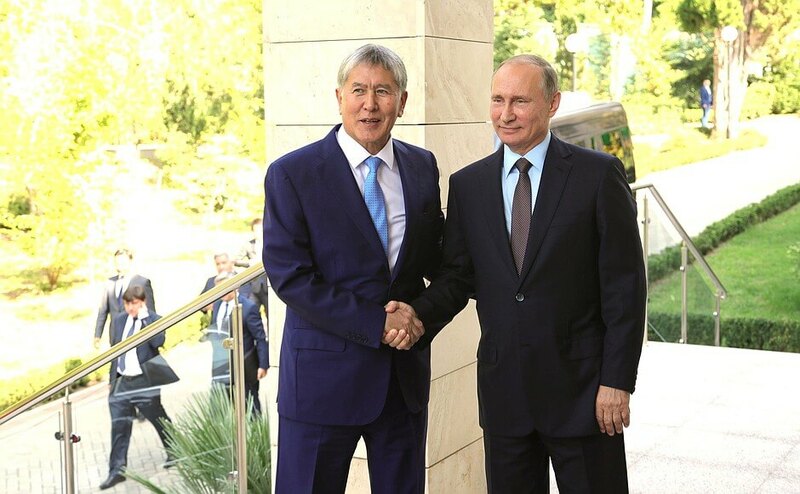 Indeed, I held a meeting with Mr. Rogozin yesterday, and tomorrow I am ready to take part in the work of the China-Russia business dialog together with Mr. Trutnev. 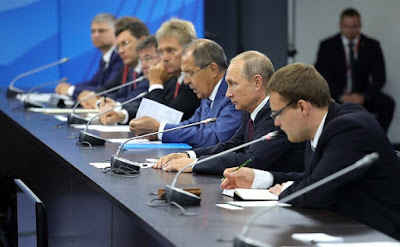 The day after tomorrow, all of us will go to Khabarovsk to hold the first meeting of the intergovernmental commission. Such a high intensity and frequency of contacts is indicative of more active interaction between our countries. 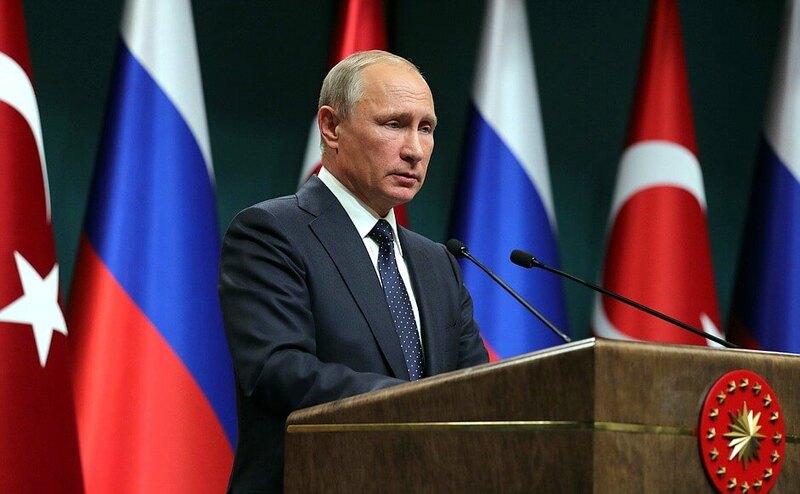 The main objective of my visit to Russia is to implement the agreements reached at the level of the heads of state. I would like to tell you that Mr. Rogozin, Mr. Trutnev and I have established not only close working contacts; we are old, good friends. Vladimir Putin at the meeting with Vice Premier of the Chinese State Council Wang Yang. Now let me say a few more words about the progress we made after our meeting in 2015. 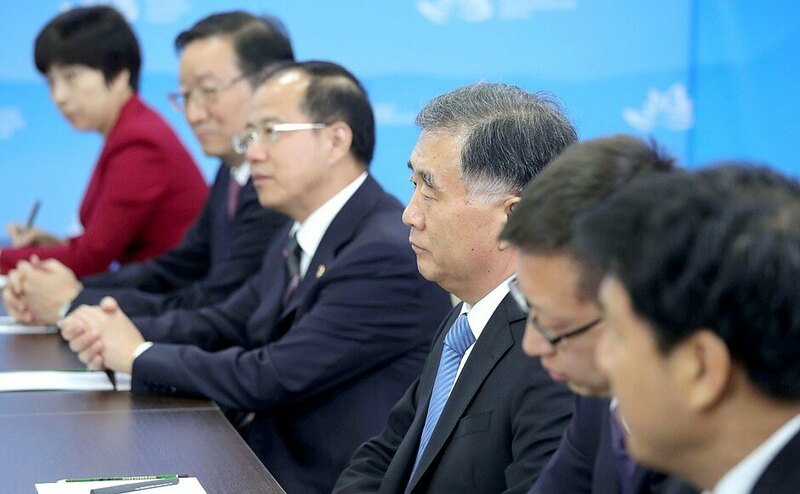 At that time, an initiative to strengthen cooperation in maritime affairs was put forward. 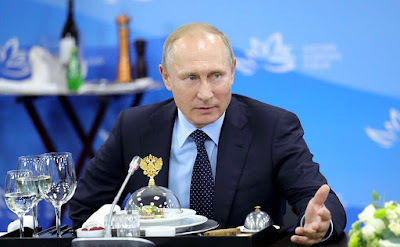 I would like to let you know that last year, the Chinese Maritime Safety Administration and the Far Eastern Branch of the Russian Academy of Sciences undertook two joint expeditions to the Bering Sea, that is, in the Arctic area. 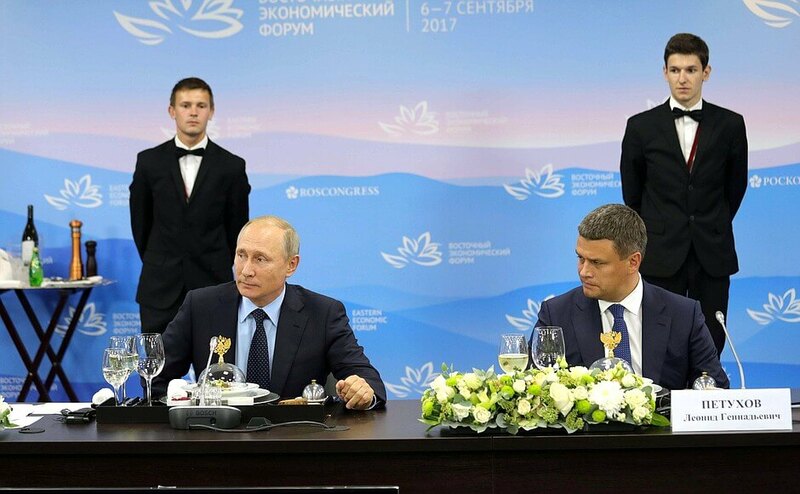 On September 20 of this year, the aforementioned organizations will hold a joint seminar on maritime research in Vladivostok. During the upcoming seminar, the First Institute of the Chinese Maritime Safety Administration will sign an agreement with the Far Eastern Branch of the Russian Academy of Sciences on establishing the Centre for the Study of Maritime and Climatic Conditions. These are the results of work in the area of maritime research. I can assure you that it was not for nothing that you awarded me the Order of Friendship. (Laughter.) I did my bit to promote cooperation. Thank you very much for the time accorded to me. President Xi Jinping’s assessments of the level and nature of our relations are absolutely objective and correspond to realities. But it is you and your Russian and Chinese colleagues who are creating the real substance behind all this in the course of your work. I would like to thank you for this again and wish you success. Vladimir Putin with Vice Premier of the Chinese State Council Wang Yang. Vladimir Putin and President of South Korea Moon Jae-in toured the Far East Street exhibition, which opened on the embankment near Far Eastern Federal University. 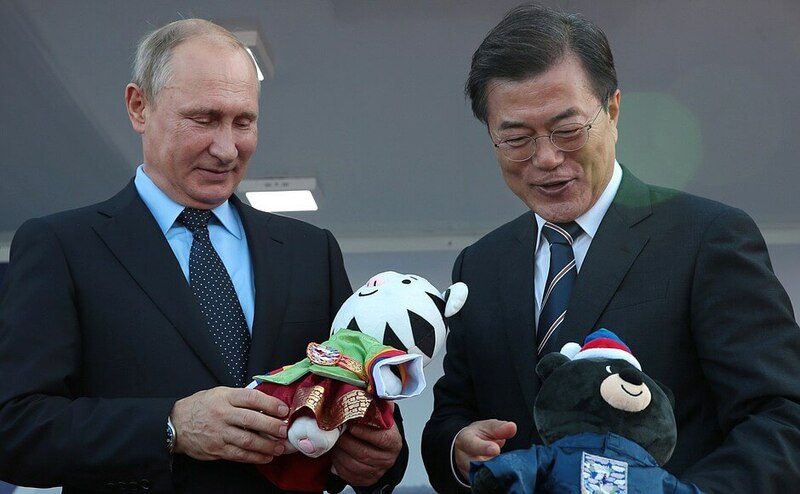 Vladimir Putin with President of the Republic of Korea Moon Jae-in during a visit to the Far East Street exhibition. 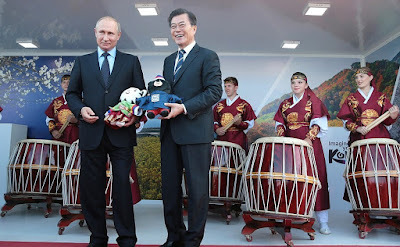 Vladimir Putin and President of the Republic of Korea Moon Jae-in visited, among other things, pavilions of the Primorye Territory and the Sakhalin Region, the pavilion of Progress Arsenyev Aviation Company, which is part of the Helicopters of Russia Holding, as well as a pavilion dedicated to the 2018 Pyeongchang Winter Olympic Games. 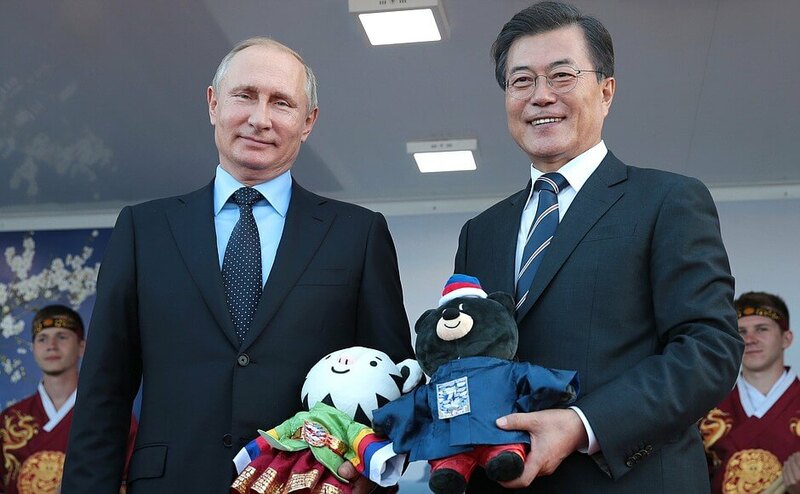 During the visit, Vladimir Putin and Moon Jae-in also saw a demonstration performance by a youth Judo team from the Sakhalin Region and talked with the athletes. Vladimir Putin and Moon Jae-in at the Far East Street exhibition. 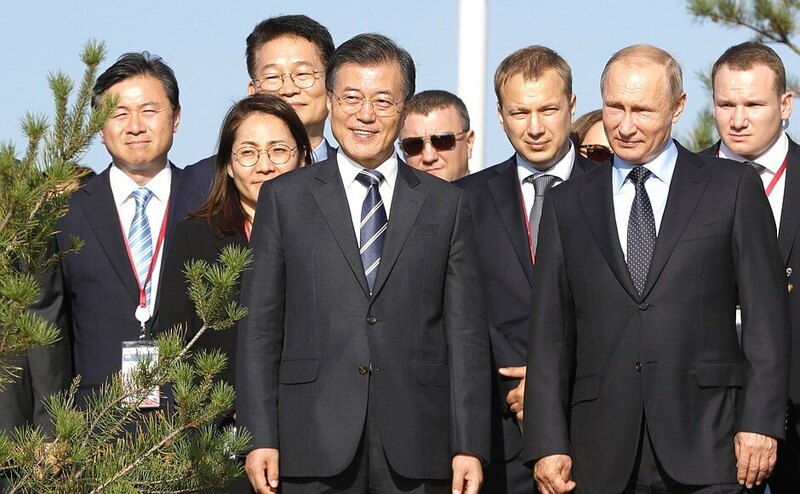 Vladimir Putin and President of South Korea Moon Jae-in at the exhibition. 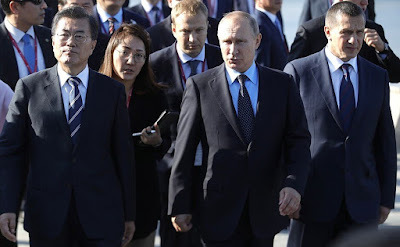 Vladimir Putin and President of South Korea Moon Jae-in. Vladimir Putin and President of the Republic of Korea Moon Jae-in watch a demonstration performance by a youth judo team from the Sakhalin Region. 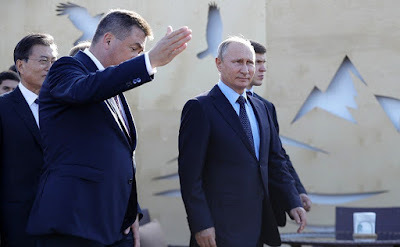 Vladimir Putin with Primorye Territory Governor Vladimir Miklushevsky during a visit to the Far East Street exhibition.